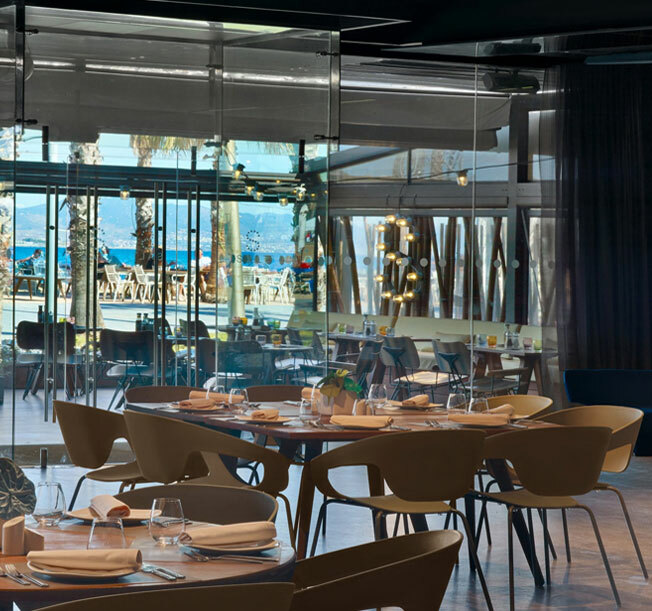 The W Barcelona hotel was conceived by Ricardo Bofill. It stands at the new entrance of Barcelona harbour, and has become an iconic landmark to Barcelona’s skyline and coast. It was built and conceived as an ambitious addition to the urban renewal plan for Barcelona’s coastline. 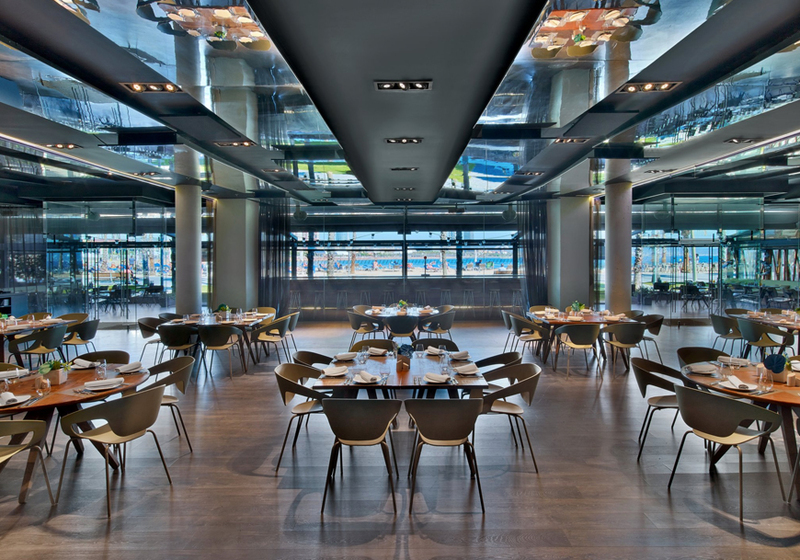 The form of the building is a direct response to the stunning presence of the Mediterranean. 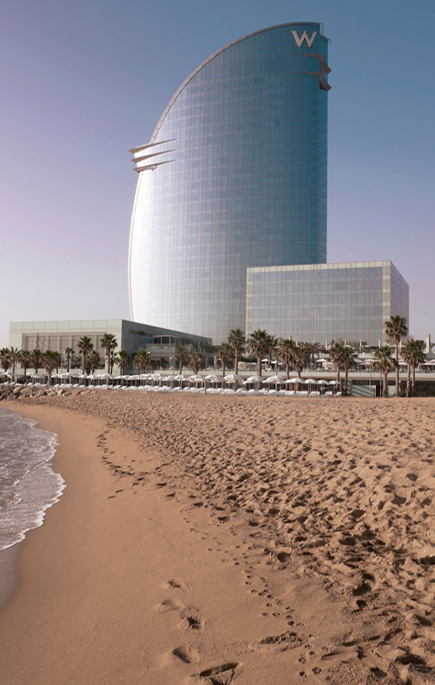 The 26-story, slender, sail-shaped W Barcelona sits perpendicular to the dock, showcasing unprecedented sea and city views from virtually every guest room.